Eskom will appoint a permanent Chief Financial Officer (CFO) by September, Parliament committees have heard. 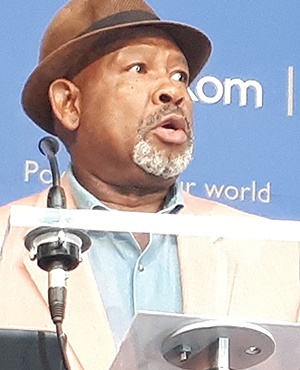 Eskom chairperson Jabu Mabuza and members of Eskom’s executive team on Tuesday updated a joint sitting of Parliament’s portfolio committees on public enterprises and energy about the group’s governance challenges. In his opening remarks, Mabuza said the process of appointing a CFO was on track. Calib Cassim was appointed to the acting position last year after former CFO Anoj Singh was suspended. During a question and answer session with members of Parliament, Mabuza admitted that the power utility had passed its own deadline to make a permanent appointment. Mabuza said during the process of dealing with issues at Eskom, the board discovered an urgency to deal with the utility’s operations. For this reason the position of a chief operations officer was created, and Jan Oberholzer was subsequently appointed. Mabuza said even though a CFO would be appointed in September, he was completely comfortable with Cassim being in charge of Eskom’s purse. "We as a board have found no concern about the person who is looking after the finances at Eskom. I do not have sleepless nights. I am confident and comfortable that the Eskom purse is in good hands of the acting CFO," he said, before thanking Cassim for providing a "steady hand" in managing the entity’s finances. During his presentation to the committees, Mabuza said that there have been notable strides in turning around the business. But he could not ignore the challenges that remained at the entity. "We are very much with our backs against the wall. This new board and leadership of Eskom does not have the luxury of mandate to keep the lights on at all costs. We are being told, 'keep the lights on, manage costs,'" he said. CEO Phakamani Hadebe, who also addressed the committees, said that even though the new leadership had achieved some stability, Eskom was not yet out of the woods. He said it would take two years to properly clean up the institution. The challenges at Eskom were mainly due to a lack of leadership and governance in the past, he explained. In 10 years, Eskom had had 10 CEOs, and three boards. Hadebe explained that this made it difficult to design a sustainable strategy, as the changing leadership created confusion about the direction the utility should take. The power utility has been working with the Department of Public Enterprises to develop a strategy to ensure it survives for the next 95 years. "The next two years are going to be tough, they are going to be difficult." The transition to operational and financial sustainability would demand "painful decisions" and "decisive leadership," he said.